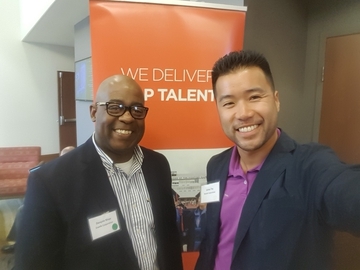 Jan. 22, 2019, 4:02 p.m.
With my new friend Stella from Armanino LLP at the Recruiting Leadership Institute hosted by the National Association of College and Employers (NACE). It was great to meet other recruiting professionals, learn from each other and make friends. I just met Stella during the conference, but it turns out her college roommate is one of my high school friends!